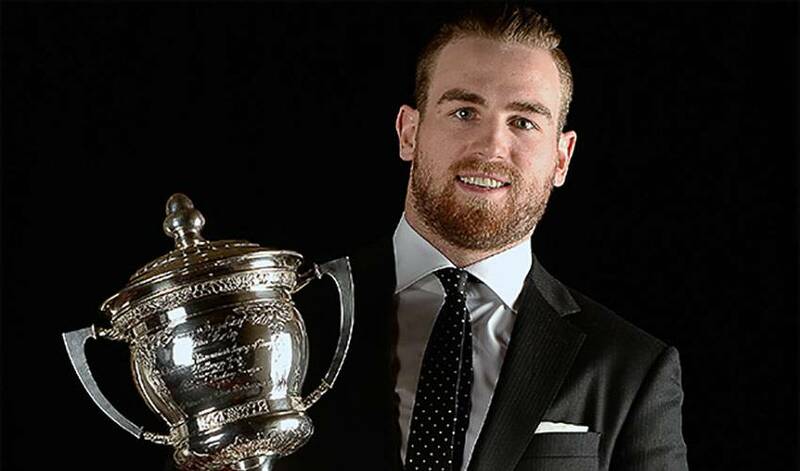 Ryan O’Reilly did plenty of things right in 2013-14. The one thing he did wrong, however, turned out to be a major reason why Colorado’s rising star went home a winner at the NHL Awards. His year was an impressive one on several fronts, including a career-high 64 points. O’Reilly also led the Avalanche in goals (28), power-play markers (nine) and game-winners (six-tied). The 23-year-old was also tops in takeaways (83) for the second time in the past three campaigns. Perhaps O’Reilly’s most impressive stat, though, came in the form of penalty minutes over those 80 games, just two in total, a minor infraction for playing with a broken stick. At season’s end, he was named the recipient of the Lady Byng Trophy, an award given "to the player adjudged to have exhibited the best type of sportsmanship and gentlemanly conduct combined with a high standard of playing ability." O’Reilly joined Butch Goring (1977-78, Los Angeles) as the only players in NHL history to receive two or fewer penalty minutes in over 80 or more games. What’s particularly remarkable about his penalty minutes, or lack thereof, is the style of game he employs. So, too, is ensuring all goes smoothly when you hear your name called at an awards ceremony. Coming off a season where both O’Reilly and the Avalanche stamped themselves as ones to watch in 2014-15, the former member of the Erie Otters (Ontario Hockey League) is hoping the upcoming campaign yields a happier ending than the previous one did. Colorado won’t have to wait long to look for redemption. The Avs’ first two games of the 2014-15 regular season see them play the Wild on October 9 in Minnesota and then on October 11 in Colorado.